Anybody with internet now has access to a burgeoning world most of us would never otherwise see. 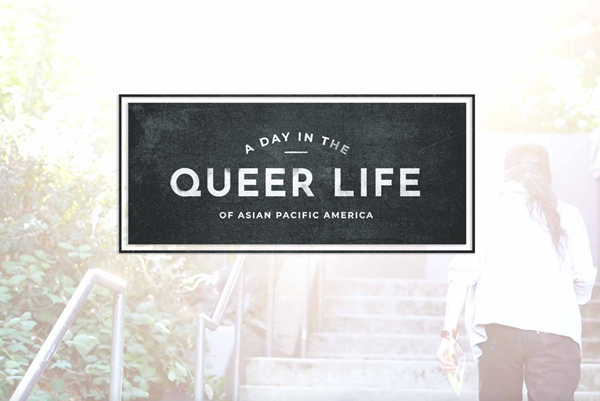 The Smithsonian Asian Pacific American Center has launched a new digital exhibition called A Day in the Queer Life of Asian Pacific America. A joint partnership between the Smithsonian, AARP and Kundiman—a New York-based organization dedicated to the creation and cultivation of Asian American creative writing—the series will feature both solicited and crowd-sourced media of all types: film, photography, boomerangs, video poems; that explore queer life in Asian American and Pacific Islander communities throughout the country including lesser-known areas with a focus on everyday life. • Queer Time: long-form essays on the queer experience of time by poet Rajiv Mohabir. His team worked on it for about a year. It launched March 25 and elements will continue to be added throughout the year. Davis would not say how much the series cost but says the Smithsonian, AARP and Kundiman all donated “considerable funding resources” to the project. So overall, what is the plight for queer Asian-American and Pacific Islander people? Is it demonstrably better or worse than it is for other queer ethnic groups? Davis, who is Asian himself, says there is “no magical place totally free from queerphobia and transphobia” and that it is pronounced in some AAPI communities.